Embroidered polo belts made of saddle leather and hand stitched to the highest quality. We are the specialists with over 50 unique designs in four different leathers. All sizes available from tiny to extra large, the width is a standard 35mm except for the 'skinny' which is 25mm. As with all leather produts we reccommend you regularly treat with a clear wax or dubbin. Measurement is taken where the buckle joins the leather from the first to the last of 5 holes and relates to waist size. *Trouser size can vary so best to measure your waist and add one inch. Dhow is a hand made Kenyan beaded, brown leather belt that has a traditional Masai design. The belt ..
Eton is a hand embroidered Argentinian polo belt which is made of brown saddle leather. The belt is ..
Pony Club is a hand embroidered Argentinian polo belt which is made of brown saddle leather. The bel..
Made of dark brown saddle leather, Gstaad is a hand embroidered Argentinian polo belt. The belt.. 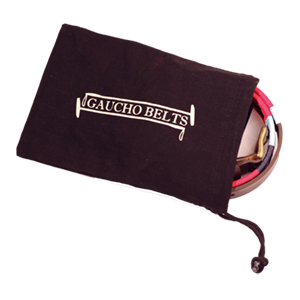 Guards is a hand embroidered Argentinian polo belt which is made of brown saddle leather. The belt i..
Made of brown saddle leather, Harrow is a hand embroidered Argentinian polo belt. The belt is stitch..
Harvard is a hand embroidered Argentinian polo belt which is made of brown saddle leather. The belt ..
Made of brown saddle leather, Henley is a hand embroidered Argentinian polo belt. The belt is stitch..
Kabaka Brown is a hand made Kenyan beaded, brown leather belt that has a traditional Masai design. T..
Having a traditional Masai design, Kilimanjaro is a hand made Kenyan beaded brown leather belt. The ..
Made of brown saddle leather, Maldives is a hand embroidered Argentinian polo belt. The belt is..
Malindi is a hand made Kenyan beaded, brown leather belt that has a traditional Masai design. The be..
Having a traditional Masai design, Masai is a hand made Kenyan beaded brown leather belt. The belt i..
*SPECIAL OFFER - made in Kenya, leather with hand-sewn beads and a removable buckle. ..
*SPECIAL OFFER made in Kenya leather with hand-sewn beads and a removable buckle. ..
Mendoza is a hand embroidered Argentinian polo belt which is made of brown saddle leather. The belt ..
Mendoza is a hand embroidered Argentinian polo belt which is made of black saddle leather. The ..
Made of suede finish capybara style leather, Meribel is a hand embroidered Argentinian polo belt. Th..
Milan is a hand embroidered Argentinian polo belt which is made of suede finish capybara style leath..
Military is a hand embroidered Argentinian polo belt which is made of brown saddle leather. The belt..
Made of brown saddle leather, Millfield is a hand embroidered Argentinian polo belt. The belt is sti..
Montana is a hand embroidered Argentinian polo belt which is made of brown saddle leather. The belt ..
Navajo is a hand made Kenyan beaded, brown leather belt that has a traditional native American desig..